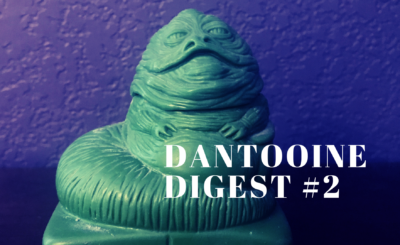 Welcome to the first 365 Star Wars Dantooine Digest! These reports are a collection of fun and interesting Star Wars content I came across in the last week (or month, still working on how often these will publish) that I thought were worth sharing. I won’t be posting much news here because so many other sites have that covered. These digests will be more a collection of articles, videos, podcasts, art, etc. – anything that happened to grab my attention. Most of the content will be current but I have been known to listen to podcasts that published months ago. 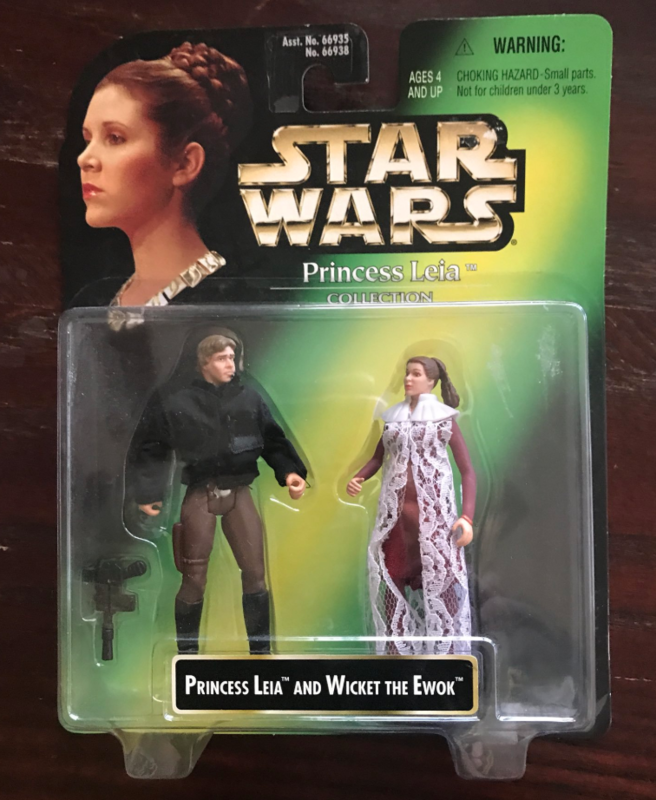 I’ll also be including some vintage content from my own Star Wars collection such as this photo of my favorite label mistake. Off we go into Issue #! This episode is all about the E…E…E…Ewoks cartoon! Learn more about the production of the show and hear my pitch on why it’s time to reboot the Ewoks animated series. I’m enjoying Star Wars Resistance and I loved the shorts they released during their mid-season hiatus. One of my favorites was “Buggles Day Out” which you can watch right now below. You can find all of the Resistance shorts here. I love the look of these posters. I also recommend following @sleemo_ on Twitter for some great Star Wars content. There has been a lot of new short burst Star Wars content out there including the Galaxy of Adventures shorts. The official site came out with a great guide for this series. 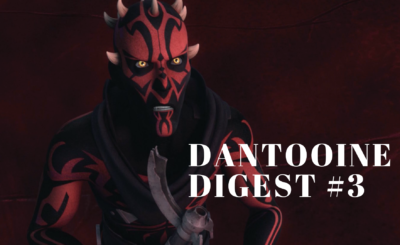 That’s it for this issue of Dantooine Digest!